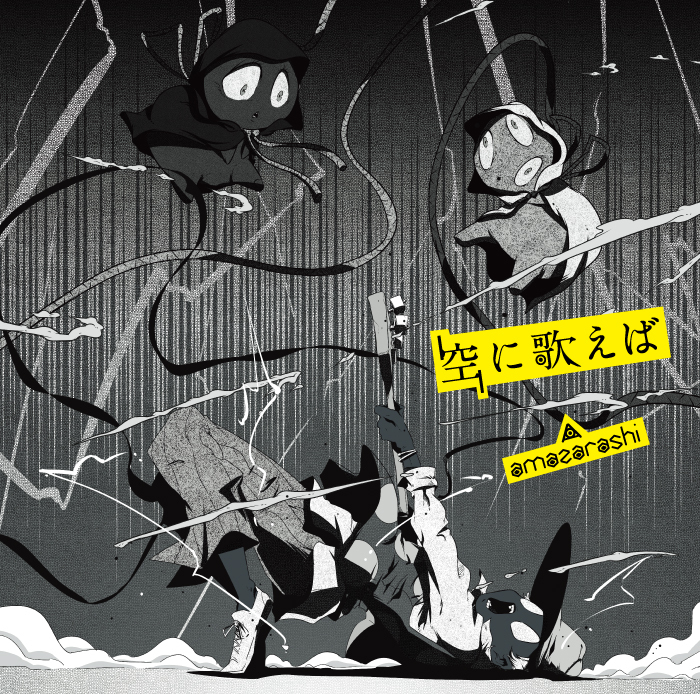 Japanese rock band amazarashi digitally released their latest single Sora ni Utaeba on August 25th ahead of the CD release which is set for September 6th. 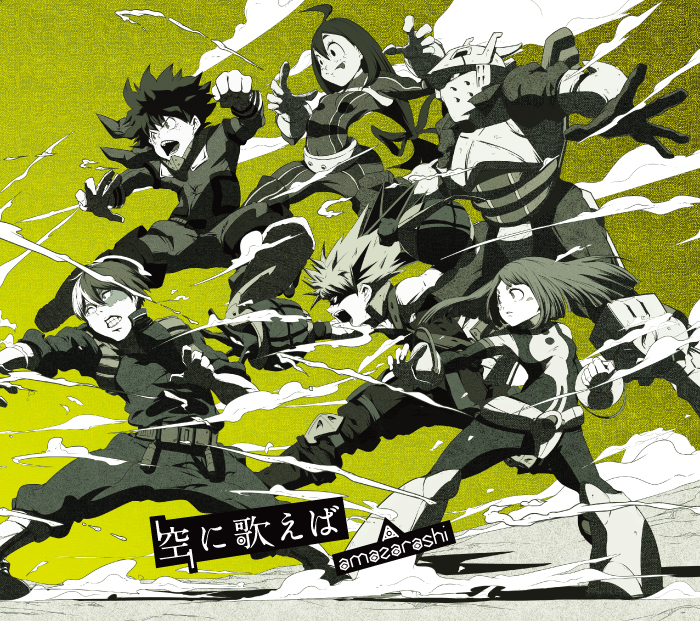 The song was written to be used as the second opening theme for the anime series My Hero Academia. The band performed the song for the very first time at their first triumphal return to Aomori where they performed at Link More Heiankaku Hall on August 13th. Part of the music video features their first performance in Aomori. In line with the digital release, the lyrics for “Sora ni Utaeba” have been made available on Uta-Net ahead of the physical CD release. The CD will comes in three types, all of which will feature cover art from “My Hero Academia.” The three types include: “First Press Limited Edition A (All For One ver. ),” “First Press Limited Edition B (One For All ver. 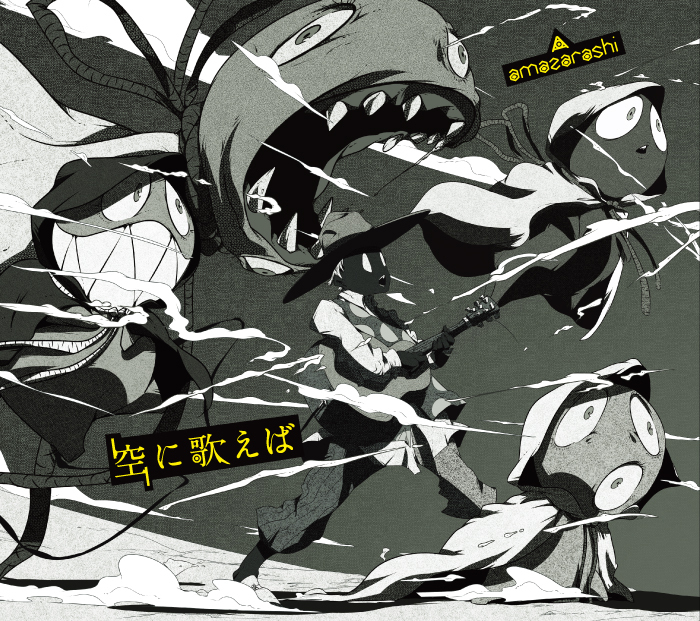 ),” and “Regular Edition.” The “All For One” version features amazarashi themselves drawn as villains in disguise, while the “One For All” version features the heroes, including Izuku and the others from U.A. High School. All For One comes in a slipcase and includes a DVD that contains footage of three songs from the band’s show at Nakano Sun Plaza on June 23rd during their “Message Bottle” tour, as well as the non-credit OP movie from My Hero Academia. It also comes with an “All For One ver.” rubber band. 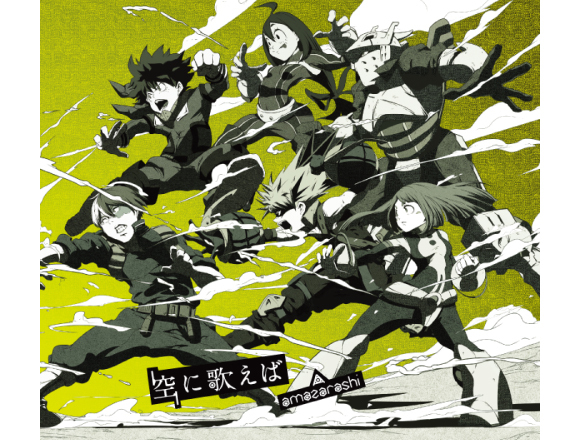 One For All also comes in a slipcase and with a rubber band, as well as a special “amazarashi/Sora ni Utaeba” edition My Hero Academia trading card.